The tumultuous political history of Paris naturally created a demand for sufficient cemetery facilities across the city. Prior to the revolution in Paris there were 52 recorded graveyards around town. Added to this, the many tombs and necropolis holding the remains of the most important French individuals. Many of the original tombs are still open to the public for visiting to this day. Napoleon’s tomb, for example, lies between the walls of Invalides in the 7th arrondissement. Marie Antoinette’s over in the Basilica Cathedral of Saint Denis. Somewhere between 1785-1788 things took a different turn in Paris. The government began digging up the many graveyards attached to the churches of Paris. It was thought that the shallow graves were posing a health threat to the sanitation of the city. The remains of all of these people were transferred into what is now the Paris Catacombs. Long, spacious tunnels that run underneath the 14th arrondissement. The Catacombs can be visited by anyone brave enough. After this, the city of Paris stopped the use of church grounds as burial sites and diverted the dead into full sized cemeteries instead. 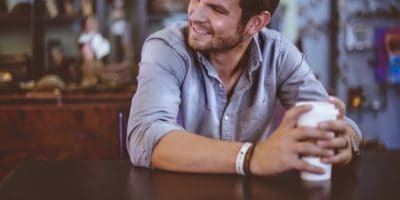 Here is exactly how some of the better known ones came to be. 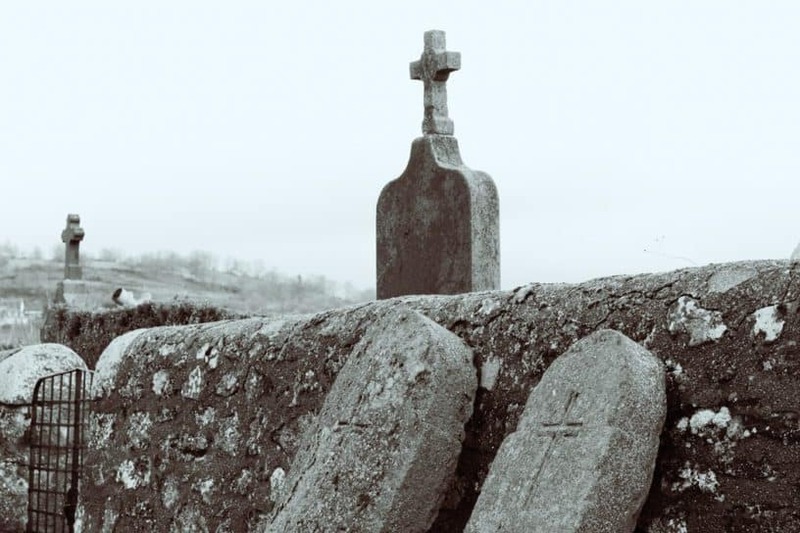 Early on in the 1800s, France saw the creation of its first ever garden cemetery. Père Lachaise is the largest cemetery in Paris and definitely the most well known of the bunch. Despite opening in 1804, the cemetery only received its own strictly Jewish enclosure in 1810. The Muslim burial grounds weren’t added until 1856. 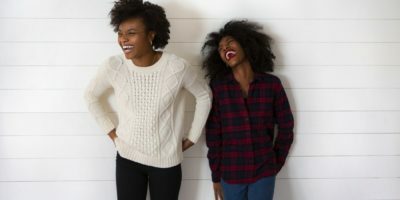 During the 1880s a law is passed that prohibits segregation of religion within cemeteries. The wall enclosing the Jewish section is torn down as is the mosque that identifies the Muslim region. Fast forward to 1953 and Père Lachaise is named the official ossuary of Paris. The cemetery takes up most of the 20th arrondissement. Being a garden cemetery the inside is beautiful to walk through at all times of the year. Trees hang low and in the summer there are flowers in bloom. 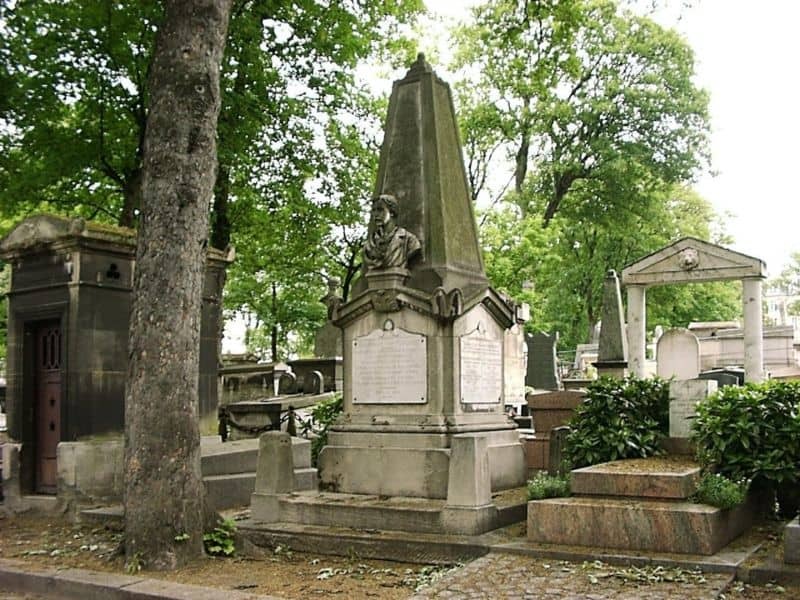 Once inside Père Lachaise, try and find some of the iconic residents of the cemetery. 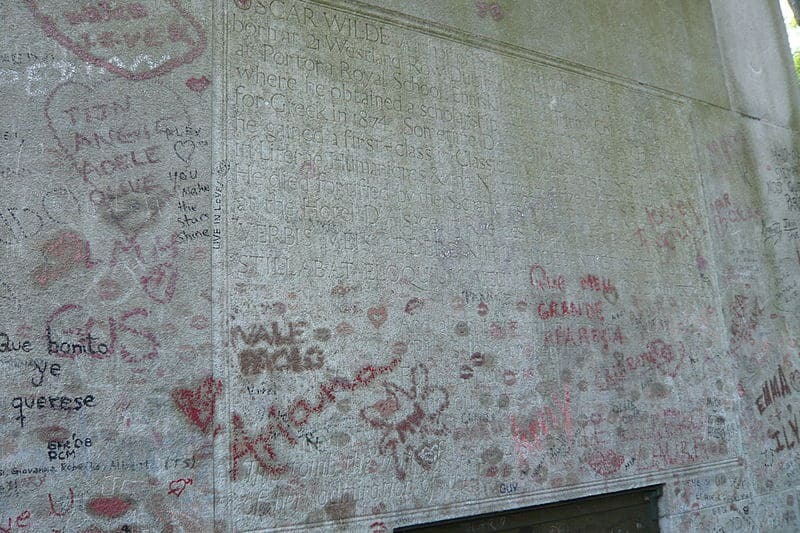 Oscar Wilde is buried here; in a tomb that has had more graffiti encounters than some of the streets in Pigalle. 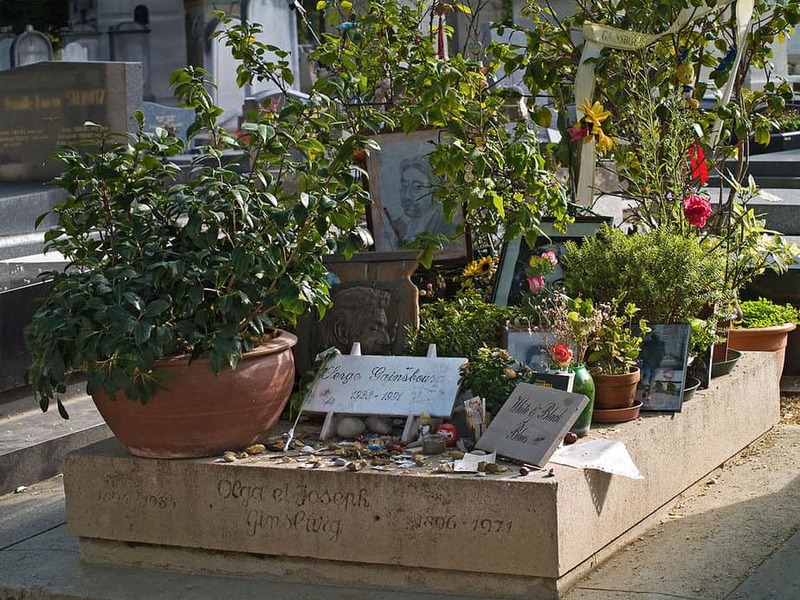 Somewhere nearby Jim Morrison’s grave draws in millions of visitors each year. 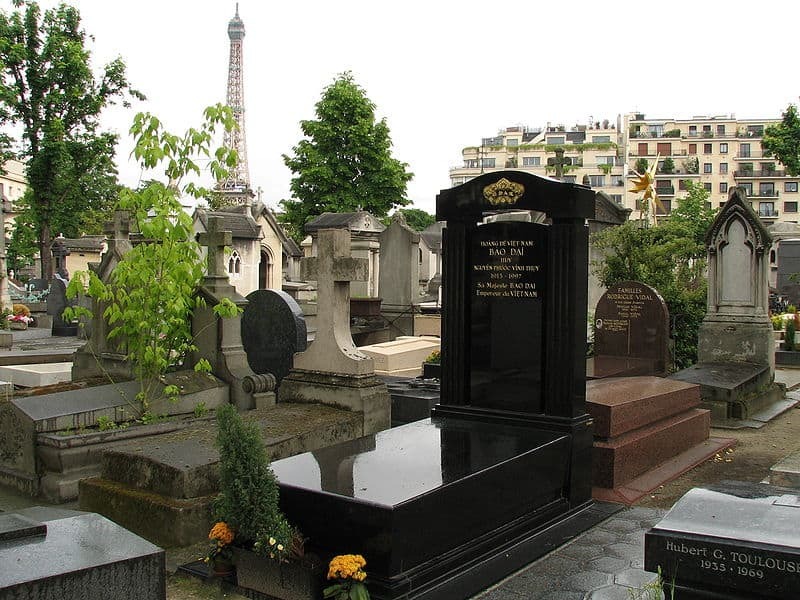 Edith Piaf is also buried here, in a grave far more modest than Mr Wilde’s. There are usually fresh flowers and thoughtful offerings on the land of both of these legends. A few years later not far from Père Lachaise, in the 14th arrondissement, comes the second biggest cemetery in the city. 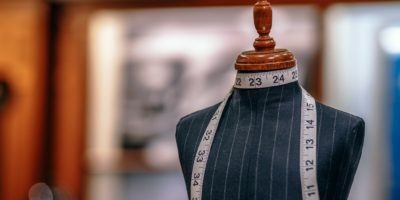 Montparnasse is known for many things. 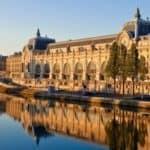 It was once a haven for struggling artists who needed an affordable place to live in Paris; it is home of the best crepes in the city; and it houses a gigantic cemetery that has become a notable tourist attraction over the years. 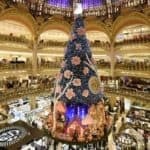 A free guided walking tour of Montparnasse will take you through each of these elements of history. Montparnasse cemetery has half of the residential capacity as Père Lachaise. 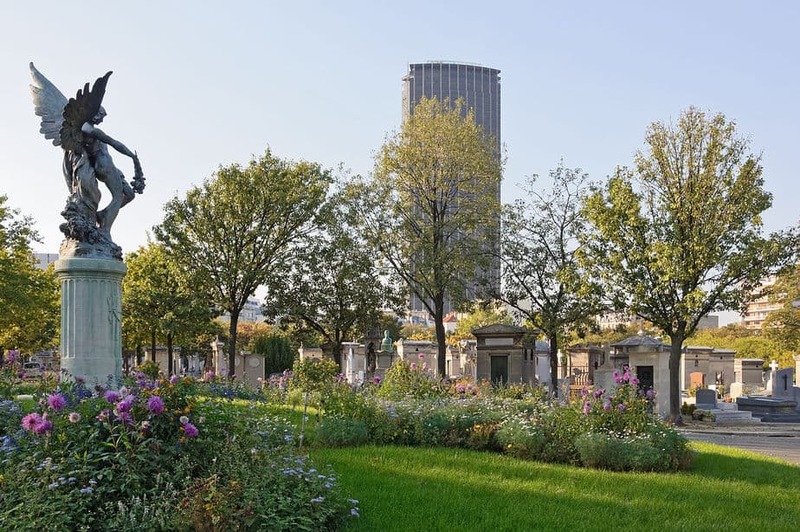 It is said that because of the historic nature of Montparnasse, much of the cemetery was filled up with the artistically or intellectually elite of Paris. Considering that Samuel Beckett and Serge Gainsbourg are both buried here that notion is easy to believe. This also used to be the cemetery of preference for immigrants who built lives in France over long periods of time. Just one year after the opening of Montparnasse cemetery in the south, the north needed a burial ground of its own. The Montmartre cemetery is my personal favorite one to visit in Paris. The rolling hills of Montmartre mean that the graves were built into the many valleys and embankments that the piece of land exhibits. The space is an old abandoned gypsum quarry. 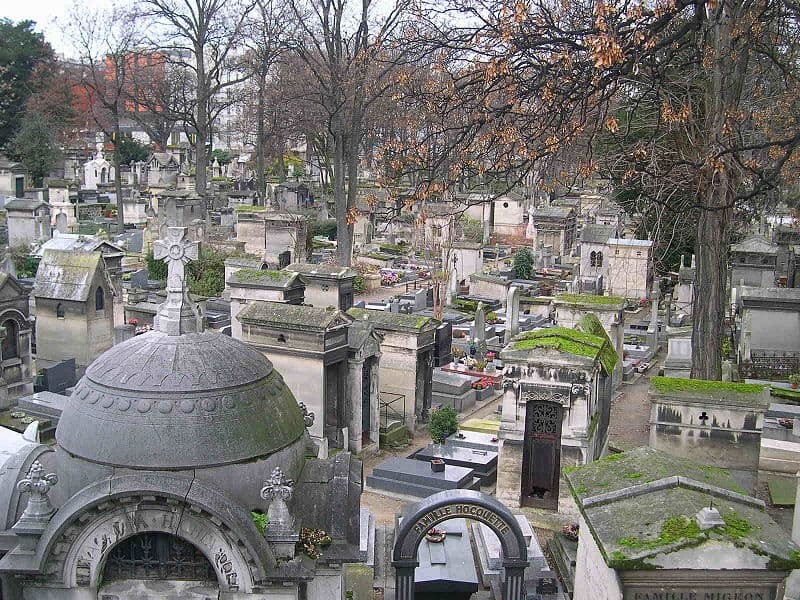 The Montmartre cemetery was the third installment by the French government to provide enough burial grounds to the people of Paris. The afore mentioned two cemeteries were part A and part B of the same plan. 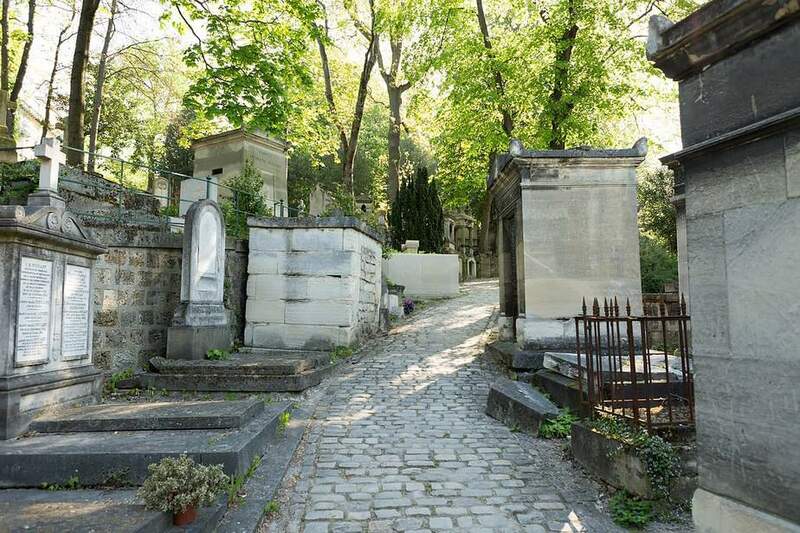 While Montmartre cemetery isn’t nearly as green as the other ones around town it is still a popular tourist attraction to the many visitors that this district pulls in. Some of the graves appear to be floating above one another thanks to the quarry embankments — beautiful! Somewhere during the inception of the big cemeteries of Paris, this little one in the 16th arrondissement managed to pop up seemingly overnight. As it turns out, Passy Cemetery was actually part of the original burial ground distribution plan being put in place by Napoleon. The same one that put Montmartre, Père Lachaise and Montparnasse in the north, east and south respectively. Passy is but a fraction of the size of all of these. It also boasts one of the best views of the Eiffel Tower right from the burial grounds. Being so close to the heart of Paris, the cemetery has adopted somewhat of an aristocratic taste over the years. It happens to be the only cemetery in Paris in which the waiting room is heated so visitors don’t have to brave the outdoors. The graves are shaded by chestnut trees making it a great spot to walk through on a hot day. 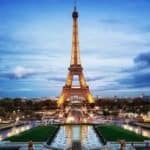 You could even head directly to the Eiffel Tower by foot so as to have a tour of the entire neighborhood (Read more about Discover walking tours). The history of the Parisian cemeteries is endlessly fascinating. 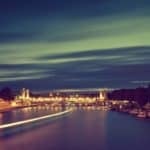 It’s easy to forget that this city had a long life before we got here! 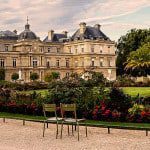 Take time, pay respects, smell the flowers — these burial grounds are as much attractions to Paris as the Seine or Louvre Museum are.